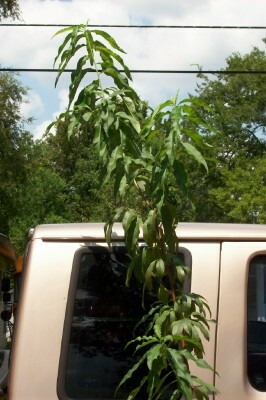 Peaches - Most of the standard varieties of peaches grow 15 ft. high, but the dwarf trees only grow about 6 feet in height. All the varieties that we offer are self-pollinating. High chill varieties bloom later in spring to escape late frosts. Dried peaches are delicious and sweet in taste. Peaches ripened on the tree develope a fragrance and flavor better than the supermarket peaches. 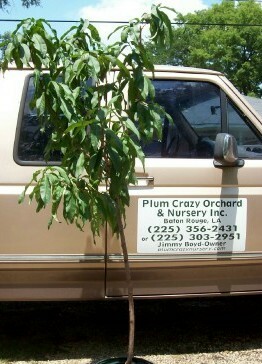 Peach trees are usually planted about 15 feet apart. 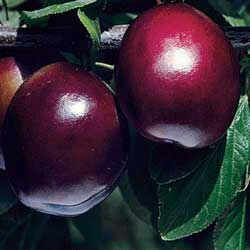 Nectarines - Fresh fruit lovers generally prefer nectarines over peaches when sampling ripe fruit picked and eaten fresh from the tree. The skin is smooth, unlike the fuzzy peach.